9iceunity » Forum | 2014/15 WAEC Result Is Final Out!! 2014/15 WAEC Result Is Final Out!! WAEC Result Checker located at www.waedirect.org is the online result-checking portal for WAEC May/June and Nov/Dec Examinations. Year 1991 through 2007, 2010, 2012 to 2013 and 2014 results can be checked on this checking-portal. Candidates who have taken part int any WAEC examination from 1991 till date (2014) can find their exam results on this result-checker. You need a scratch card to access your result on the WAEC Result checker. Many employers now use the WAEC result-checking portal more than before to verify the result of their employees. The result-checker is the most authoritative and convenient source of verifying WAEC results. 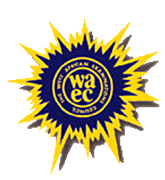 *.The WAEC Result-checker is located at www.waecdirect.org, visit the portal. *Examination (May/June or November/December (private) Scratch Card Serial Number and PIN. *Finally, Submit and wait for the results window to come up. The 2014 WAEC Result (May/June) has been released but not yet available on the result checker. You should keep checking back on this post. We will update you here as soon as the result is available for checking on the WAEC Result-checker for 2014 results.